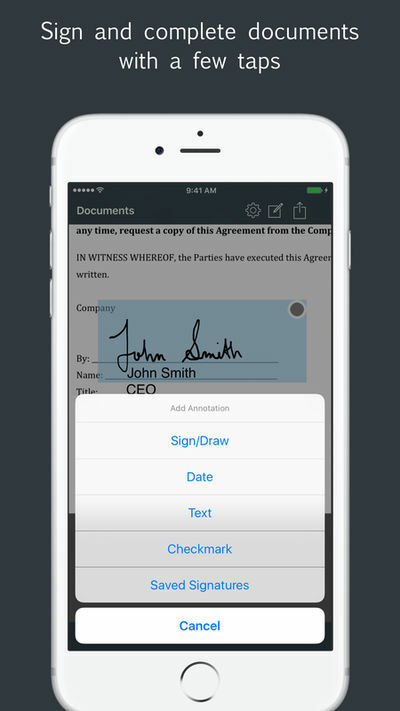 JotNot Signature makes it simple to sign documents in electronic format without having to print, sign and scan. Use JotNot Signature's built-in signature pad to sign your name and drop it into your document directly. 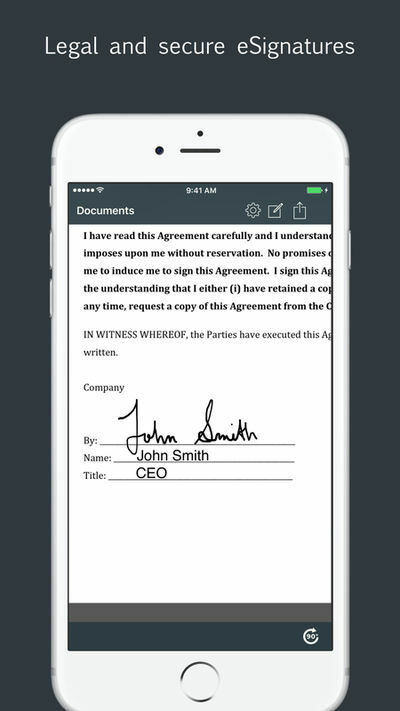 Once signed, share your document via email or copy it to one of the supported cloud storage services, such as Dropbox or Google Drive. JotNot Signature is the perfect companion to JotNot Fax. 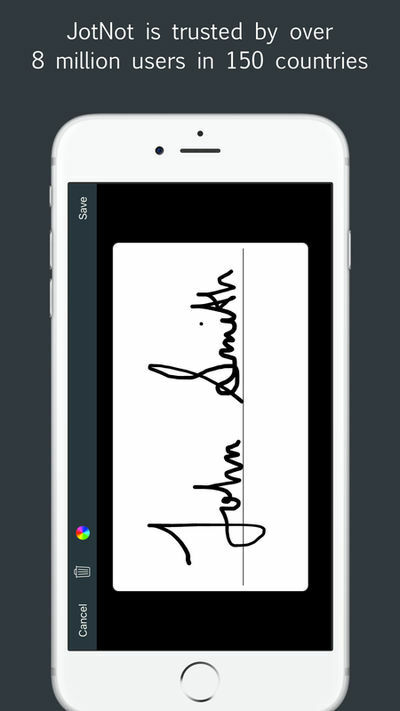 Use JotNot Signature for signing and then open it in JotNot Fax for faxing. Use text, date, and checkmark annotation types to fill out forms electronically. For added security, password protect your signed document before emailing or sharing. 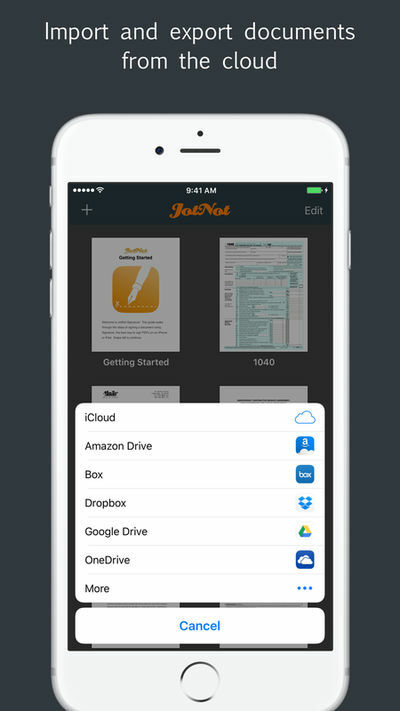 Additionally, add a password lock to the entire app to deter access to your JotNot Signature files by unauthorized persons. Since we cannot respond to comments in the App Store, please contact us at support@jotnot.com for personal help to resolve any issue.